Bookings: Mrs Sherlock 01306731114 or complete the adjoining form. 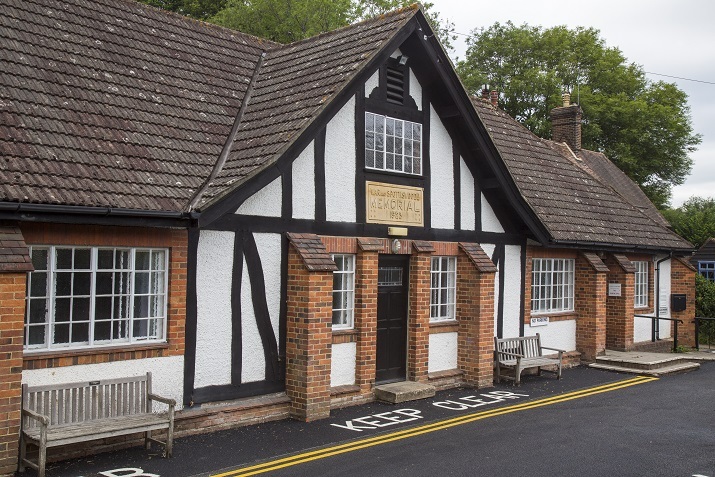 If you are looking to hold an event or function in Peaslake please let us introduce you to The Peaslake Village Hall or “The War and Spottiswoode Memorial Hall” to use its correct name. The Hall was built in 1923 and has undergone many improvements since then. Indeed 2007 saw the completion of a substantial programme of work which had started in the 1970’s. Not being complacent the Hall Committee (all volunteers) continue to improve the facilities for the benefit of residents and visitors. The Hall is regularly used by The Badminton Club, Peaslake W.I. Peaslake Players (the local amateur dramatic society) a Toddlers Group and many other local fund raising organisations. That said the Hall Committee is always willing to listen to any proposal for a new community venture, if you have any thoughts please do not hesitate to contact us. Private hire of the Hall is encouraged and with about 160sq meters of floor, an additional raised stage and its own kitchen will suit most requirements. Also the Hall, whilst being able to seat 150 people Theatre style, or 120 seated at tables, offers an ideal venue for family parties, celebrations, presentations and conferences to name but a few uses. Chairs and tables are available for Hall usage.